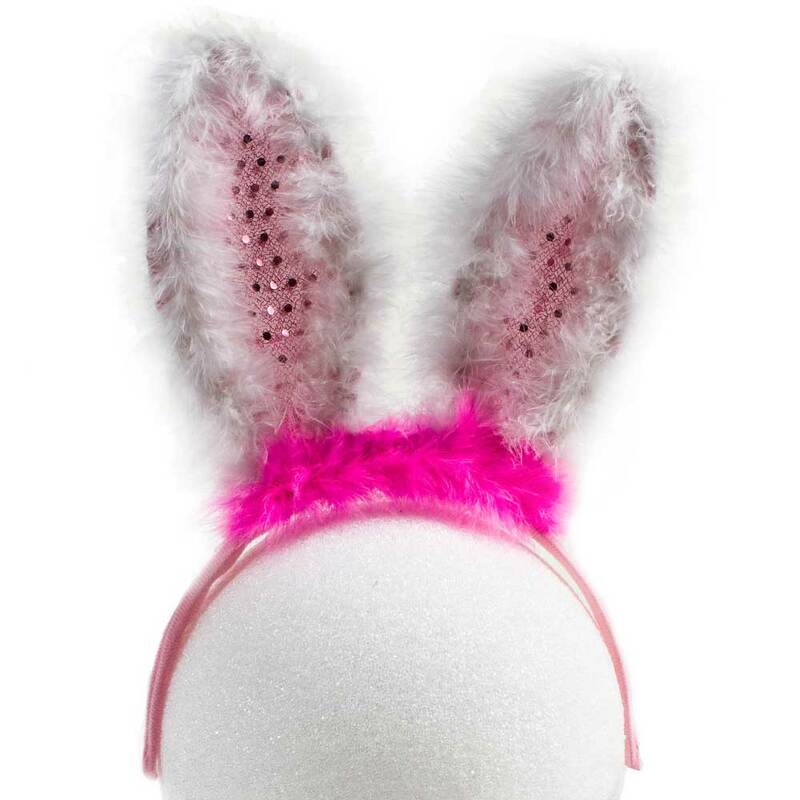 Be the center of any party with these cool flashing bunny ears. 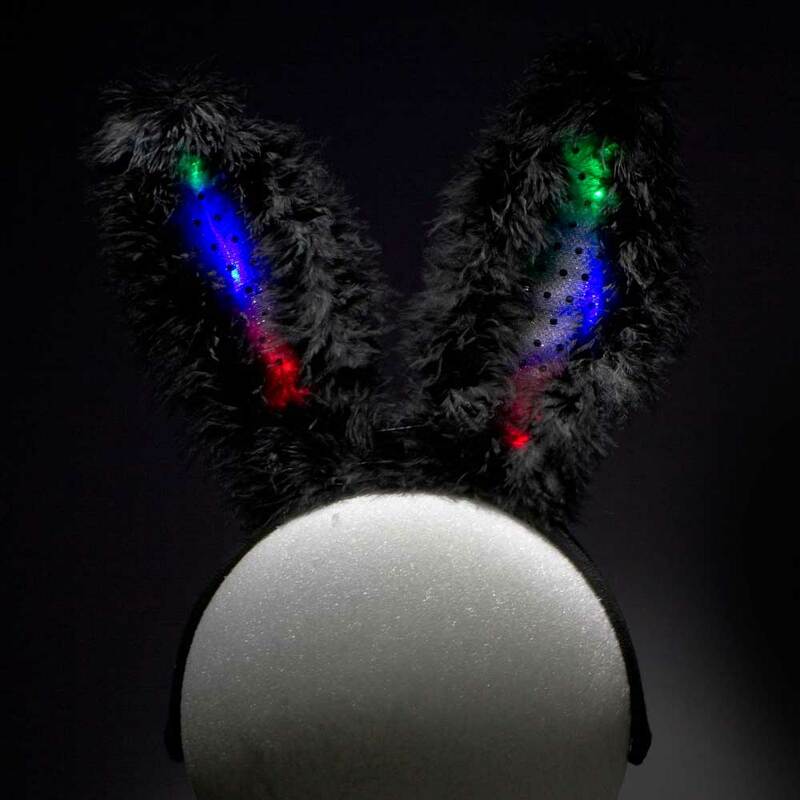 Multi-color LED lights light up each ear for for a really cool effect. Three LR44 batteries are preinstalled in the compartment between the ears and are easy to change. 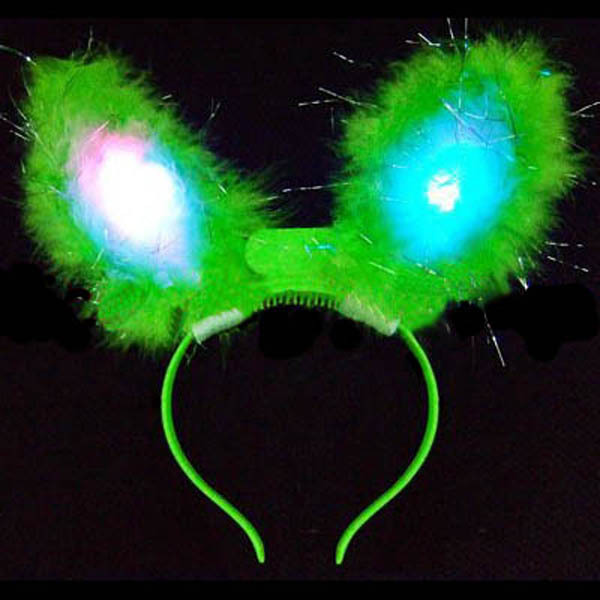 A set of batteries will power the colored lights for around 6 hours, but the ears will continue to flash with red lights only for many hours more. Ears have a clear center surrounded by black feathers. The band that goes around your head is made of plastic, surrounded by fabric for your comfort. Overall dimensions: 7" x 3"